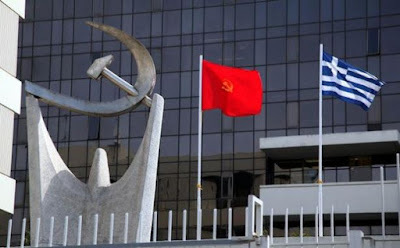 "Both the speeches and the slogans that dominated in the rally, do not challenge the dangerous NATO plans which the SYRIZA-ANEL government promotes by designating the arsonists of the Balkans as supposed guarantors of peace and cooperation. They conceal the actual problems, throwing water in the mill of nationalism and irredentism, while at the same time they are fostering the government to present its policy with the mandle of a supposed progressivity. As a result of that, they do not project any actual solution in favor of the Greek people, in favor of all the people of the Balkans. 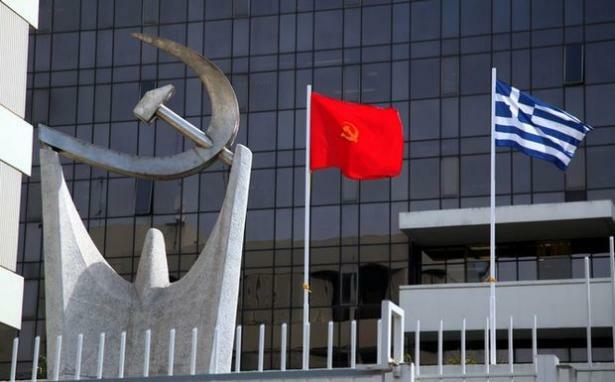 New Democracy and those political forces which, through their stance, whitewash the condemned- in the consciousness of the large majority of the Greek people- nazi, criminal group of "Golden Dawn", bear huge responsibilities. The hypocrisy of SYRIZA is huge, as long as its governmental partner participates in the rallies, while SYRIZA itself co-existed with such powers and similar slogans in the "squares of the indignants"." * Under the major slogan "Macedonia is Greek", a demonstration was held on Sunday 4th February, in Athens, against the use of the term Macedonia in any settlement the government pursues with the ex-Yugoslav Republic to end a decades-old name row. Although organizers claimed that over 1 million people were at the rally, police officials estimated the attendance at 140,000 protestors. 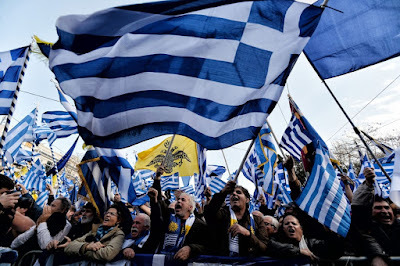 Bearing flags of Greece, as well as banners of the Orthodox Church and the Byzantine Empire, protesters shouted nationalist slogans, such as "Macedonia is one and only Greek" and "Macedonia is our soul". The major speaker was the renowned composer Mikis Theodorakis, constitutional law professor Giorgos Kasimatis, the Bishops of Syros, Chios and Drama, while greeting messages were delivered by representatives of the organizers. Among others, the rally was attended by the leader, MPs and supporters of the nazi, criminal Golden Dawn party, as well as other fascist and extreme-right groups.